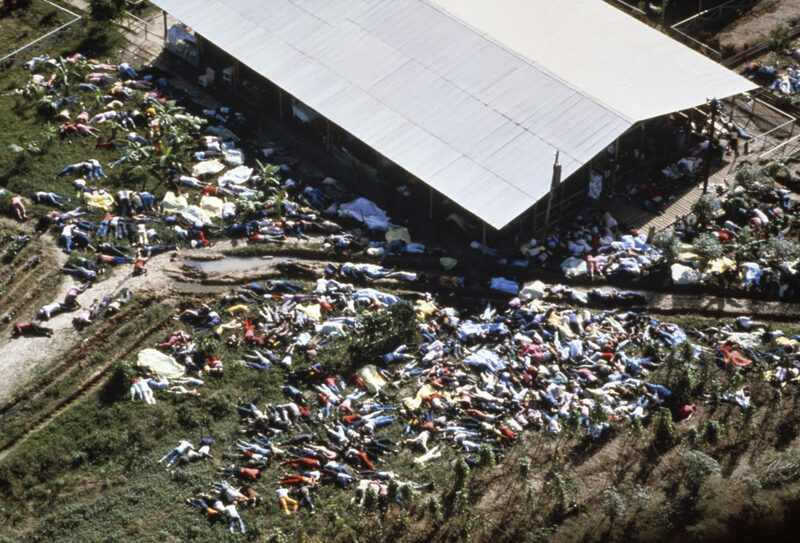 Today is the 39th anniversary of the worst political mass killing in U.S. history prior to the terrorist attack on September 11, 2000–the Jonestown People’s Temple massacre. 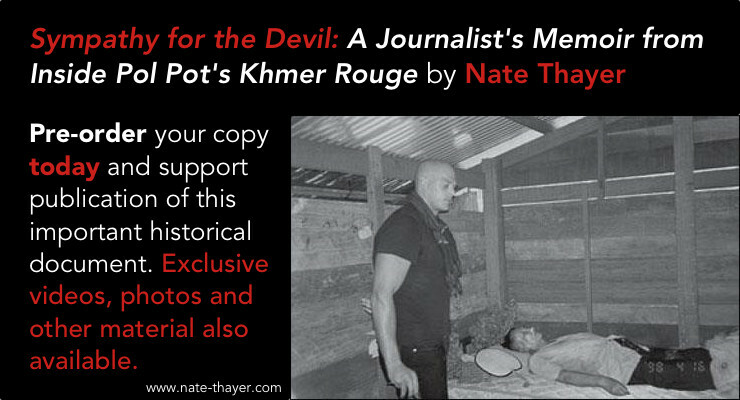 People’s Temple documents recovered from Jonestown in the wake of the murder of 903 followers of political cult leader Jim Jones reveal a remarkable relationship between Jones and North Korea in the months preceding the massacre in the remote jungles of Guyana. A March 17, 1978 document written to Jones from a top loyalist was a summary of a meeting held with the North Koreans at their embassy in Guyana. By mid-1978, during the final months prior to the mass murder at the utopian agrarian socialist experiment run by Jones in the jungles of Jonestown, Guyana, a delusional and paranoid Jones was incapacitated by psychosis and a series of addictions to drugs, including methamphetamine. By early 1978, Jones and North Korea had cultivated a close relationship with each other and had numerous clandestine meetings. At mandatory daily ideological study sessions led by Jones in the jungle, he escalated a rhetorical focus praising the North Korean government and particularly its leader, Kim Il Sung. Jones, his wife, and his children, as well as his top lieutenants met more than a dozen times with the North Korean Ambassador, diplomats, and intelligence agents at the DPRK embassy in Georgetown, Guyana. They dined and socialized together, attended each other’s cultural propaganda presentations, exchanged heavy-handed semi-fictional propaganda tracts extolling their own virtues, and held secret talks exchanging political tactics and strategies designed to promote the victory of their remarkably shared visions of utopian Socialism. Jones force-fed his followers North Korean provided official propaganda at mandatory political indoctrination meetings at their jungle enclave, reading from scripts and screening movies, increasingly exhorting the wonders of life in North Korea and the unmatched leadership of the Great leader Kim IL Sung. Jones read daily North Korean supplied propaganda at these lectures and People’s Temple members were required to watch North Korean propaganda films on the superior life enjoyed by North Korean citizens. The remote People’s Temple jungle encampment communicated with supporters and operatives in the outside world via short wave radio. Documents found at Jonestown after the massacre show that North Korea had been assigned the code names “Mrs Lagger” and “Virginia” to be strictly used in all communications. In addition, the Guyana-Korean Friendship Association, a global formal arm of the Pyongyang government charged with distributing official North Korean propaganda and building foreign alliances and support for Pyongyang was created in Georgetown and dominated by the American top trusted People’s Temple lieutenants of Jones. Ideological lectures on “Juche” ideology at People’s Temple at Jonestown were conducted by North Korean intelligence operatives based at the embassy in Guyana who traveled to the jungle to promote the DPRK vision of Kim Il Sung who Jones exalted as the most sophisticated political ideology to achieve an egalitarian society in world history. 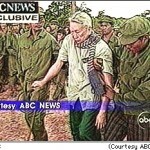 In the weeks prior to the mass murder, Jones formally appealed to the Pyongyang government for political asylum and to approve a mass exodus of nearly 1000 members of the People’s Temple living in Jonestown to North Korea. In 1977, Jones lost a bitter legal battle over custody of his illegitimate 5-year-old son, whom he had fathered with the married wife of a couple who were members of the People’s Temple. The couple asked to travel back to the U.S., but were allowed to go only if they left their young son behind. Once back in the U.S., they began what became a high-profile legal battle in U.S. courts accusing Jones of forcing people to remain in Jonestown against their will–including their son, and won custody in a U.S. court. A paranoid and drug-addled Jones and top lieutenants were convinced this was the centerpiece of an American intelligence campaign to destroy his attempts to build a socialist utopia in the Guyanese jungles. 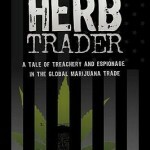 In September 1977, a Guyana court agreed with the U.S. court and Jones began to unravel. 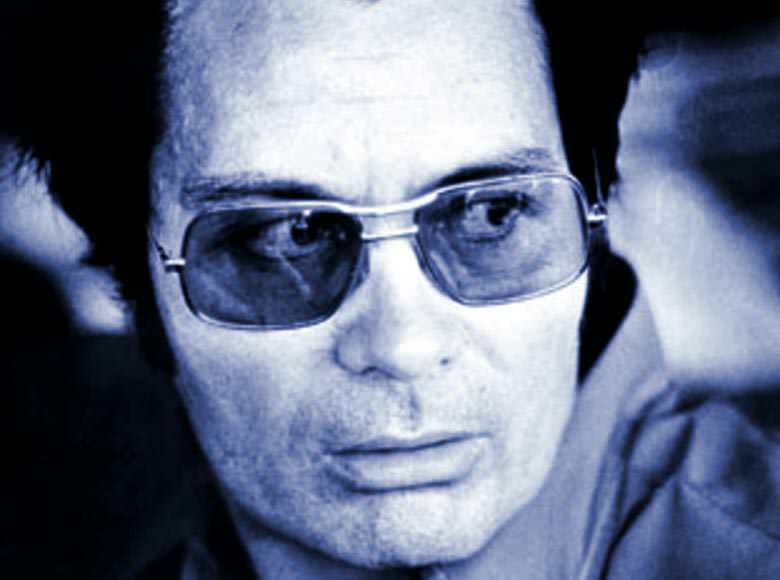 Already mentally unstable, seriously ill with a life threatening disease, addicted to mind altering stimulates, and convinced he was God incarnate, Jim Jones felt under siege and convinced he no longer had the unwavering political protection of Guyana’s government. He began to focus on suppressing dissent among his ranks and ordered top loyalists to explore a mass exodus from Guyana to a third country. More than a dozen countries were contacted by letter from his Guyanese jungle redoubt, and at least five embassies in the Guyanese capital of Georgetown were contacted directly as Jones sought support for a mass migration of the Jonestown People’s Temple population to a more reliable political safe haven than an increasingly unsure future in Guyana. Those embassies included, the Soviet Union, Cuba, Yugoslavia, and North Korea. But North Korea was the sole country to have initiated contact with the People’s Temple. In fact, Pyongyang, prior to 1977, had praised the People’s Temple over their state media. Jones relationship with North Korea was the most fascinating and included genuine mutual affection between the two, documents recovered from Jonestown and interviews with survivors show. The North Korean leadership cabled their embassy in Guyana with instructions to locate and initiate contact with Jones and his followers prior to Jones ordering his top lieutenants to contact the Pyongyang embassy in Georgetown, Guyana. By early 1978, both Jones and North Korea had cultivated a close relationship and deep support for each other and held numerous clandestine meetings. Jones escalated rhetoric praising the North Korean government and particularly its leader, Kim Il Sung, coinciding with a rapidly developing relationship with agents of North Korea. The following month, there was another meeting between “Comrade Jo” of the North Korean embassy and members of Jim Jones’ People’s Temple. By mid-1978, Jones ordered mandatory ideological training classes in their jungle encampment led by North Korean intelligence agents who lectured on Kim Il Sung thought, read from North Korean provided propaganda tracts, and screened North Korean propaganda films at mandatory political study meetings. The North Koreans were based at the embassy in Georgetown, Guyana and traveled the arduous 250 miles through the jungle by private propeller plane, by river, and farm vehicles to reach the isolated People’s Temple enclave. By then, an increasingly delusional and paranoid Jones was incapacitated by psychosis, growing political and legal pressure from enemies in the United States, and addictions to drugs, including methamphetamine, but simultaneously, his pro Pyongyang rhetoric escalated until the days immediately prior to the mass murder on November 18, 1978. Jones force-fed his followers North Korean provided official political tracts at their jungle enclave, reading from North Korean radio broadcasts, scripts and screening propaganda movies, increasingly exhorting the wonders of life in North Korea and the unmatched leadership of the Great leader Kim Il Sung. Dozens of audio recordings of Jim Jones’s mandatory ideological lectures lauding the virtues of North Korea and heaping praise on Kim Il Sung, and North Korean provided ideological propaganda material were recovered at Jonestown by U.S. government investigators who combed the 1200 acre commune for evidence after the massacre. Jones read daily North Korean supplied propaganda at mandatory lectures and over the ubiquitous loudspeaker system set up throughout the several thousand acre property Jones had leased from the Socialist Guyanese government. In addition, among the thousands of documents recovered were the reports to Jim Jones with detailed minutes of the contents of the clandestine meetings with North Korean embassy officials held by top lieutenants of Jones charged with carrying out directives and interacting with various Socialist embassies. Like North Korea, Jim Jones’s followers in the jungles of Guyana had no means of communication with the outside world. Even if they gathered the courage and resolve to leave, escape was nearly impossible. With no money or food and their passports confiscated, they would have to sneak out of the People’s Temple enclave which was under constant monitoring by armed guards, find a way through the 250 miles of jungle that separated them from the Guyanese capital at Georgetown, and find their way to the US Embassy. Jones controlled the only communication with the outside world, a shortwave radio. 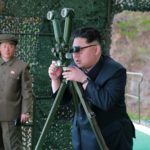 Like those who live under the control of the North Korean regime, their minds and bodies were completely isolated. Survivors speak of having lost their personal identities and living an existence increasingly based on fear and survival. Those who opposed Jones were punished and sometimes tortured. Infractions included defying Jones; non-attendance at mandatory meetings; not reporting infractions of other members; not working hard enough; or expressing desire or attempts to leave. In order to survive, one had to keep their thoughts completely to themselves, remain silent, unquestioning, and obedient. These traits, remarkably similar to the conditions described by defectors from North Korea, are those that cost 903 People’s Temple members their lives on November 18, 1978 as they drank the cyanide-laced poison fruit drink at gunpoint. There were numerous other parallels between the People’s Temple and the DPRK– and, equally between Jim Jones’ and Kim Il Sung–and their remarkably similar uses of organization of internal control, ideology, religious based tactics as a fundamental political strategy, and the reverence and perceived infallibility of single leader who was viewed as both a God King and a father figure to their followers. In the 1970’s, these political tactics were central to Jones’ vision of achieving a Socialist utopia, and no other nation on earth exemplified–or was as strident in the use of–these means of social organization more than Kim Il Sung’s Democratic People’s Republic of Korea. Equally no nation in the world shared Jonestown and the People’s Temple central tenet of promoting themselves as a new and unprecedented higher form of social and political organization and its citizens as an extended family with a single, revered leader with supernatural abilities than North Korea. 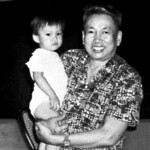 In 1977 Jones wife, Marceline Jones, said that, at age 18, when Jones watched his idol Mao Zedong overthrow the Chinese government, he realized that the way for Marxist revolution in the United States was to mobilize people through religion. “Jim used religion to try to get some people out of the opiate of religion. He slammed the Bible on the table yelling, “I’ve got to destroy this paper idol!” said his wife. Kim Il Sung, the founder of the North Korean state, was the son of a pre-revolutionary Korean Presbyterian preacher and played the organ in his father’s church, where he learned the effectiveness of religious tactics to secure loyalist followers as a means of mass indoctrination. One great interest and focus of North Korean agents was that Jones and his wife had adopted three Korean War orphans in the 1950’s–Lew, Suzanne and Stephanie. The three have all since died. 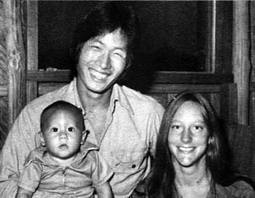 Lew was twenty-one years old in 1978 and died at Jonestown, alongside his wife Terry and son Chaeoke. Stephanie Jones had died at age five in a car accident. Suzanne Jones was adopted at the age of six in 1959. Suzanne Jones married Mike Cartmell and both turned against the Temple and were not in Jonestown on November 18, 1978. After their defection, Jones referred to Suzanne openly as “my goddamned, no good for nothing daughter.” In a signed will dated November 18, 1978, the day of the mass suicide, Marceline Jones directed that the Jones’ funds were to be given to the Communist Party of the Soviet Union and specified “I especially request that none of these are allowed to get into the hands of my adopted daughter, Suzanne Jones Cartmell.” Suzanne Cartmell had two children and died of colon cancer in November 2006. Jones had been encouraging People’s Temple members to adopt orphans from Korea, since the 1960’s. 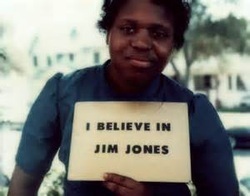 In 1954, Jones’ also adopted Agnes Jones, at the age of 11, who was of Native American descent. In June 1959, the couple had their only biological child, Stephan Gandhi Jones. In 1961, the Joneses adopted James Warren Jones, Jr. and became the first white couple in Indiana to adopt a black child. Marceline was spat upon while she carried Jim Jr. in public. The couple also adopted another son, Tim, who was white. Tim Jones, whose birth mother was a member of the Peoples Temple, was originally named Timothy Glen Tupper. Dozens of audio recordings of Jim Jones’s mandatory ideological lectures exhorting the virtues of North Korea and heaping praise on Kim Il Sung were recovered at Jonestown by U.S. government investigators who combed the 1200 acre commune for evidence while others recovered and transported the bodies of the hundreds of dead. In addition, thousands of documents were recovered, including the notes to Jim Jones with detailed minutes of the clandestine meetings with North Korean embassy officials held by top lieutenants of Jones charged with carrying out his directives and interacting with various Socialist embassies, the U.S. embassy, and numerous high level Guyanese officials, many sympathizers of both Jonestown and the Pyongyang government. In the days prior to the mass murder, Jim Jones was nearly incoherent, delusional from weeks of no sleep and hopped up on methamphetamine. On October 21 1978, less than a month before the mass killing, Jim Jones, sitting on a makeshift throne on an elevated podium using a battery-powered loudspeaker system, lectured People’s Temple members gathered in the dark on the dirt below. In the weeks before the mass murder at Jonestown, audio tapes of Jones’ lectures reveal a man who appeared to be heavily drugged, delusional, and, often, incomprehensible, slurring his words and speaking incoherently. On November 1, 1978, 16 days before 903 people died in a mass murder and enforced suicide, Jones took again to his elevated podium, wearing dark sunglasses and speaking into a microphone hooked up to battery powered loudspeakers while People’s Temple members sat in folding chairs on the dirt below. Jim Jones: “WPK general staff of the Korean Revolution. The Workers Party of Korea, the DEPK– RK, that beautiful, practical, lovely co– country that we saw on our TV station, where all the children eat rice as a staple food, and how healthy they look, and how vigorously happy, enthusiasm on all their faces. By November 1, 1978, not only was Jones suffering from psychosis and drug induced delusions and paranoia, his threats to potential dissenters among the People’s Temple members became ominously darker. On November 18, 1978, a delegation led by California Congressman Leo Ryan arrived by airplane at the jungle enclave to investigate reports of American citizens being held against their will. During his overnight stay, several members passed secret messages begging to be allowed to leave with him the next day. As the delegation and several defectors boarded their plane, they were attacked by People’s Temple armed guards who killed the Congressman and a number of others. 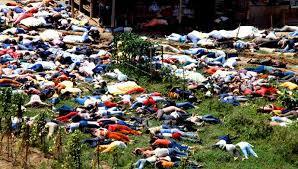 That night Jones ordered more than 900 People’s Temple members to drink powdered juice drink laced with cyanide. Babies had cyanide injected into their mouths by syringe. 903 died. Jim Jones was found with a self-administered bullet hole to his temple. The audience broke into applause. It was the worst mass murder in American history.